Revenue Assurance refers to the collective set of activities that needs to be performed by suppliers in order to generate the anticipated revenue following the sales process, i.e. post-signature. Key components include contract management, service delivery, performance management, invoicing, compliance, and relationship management. 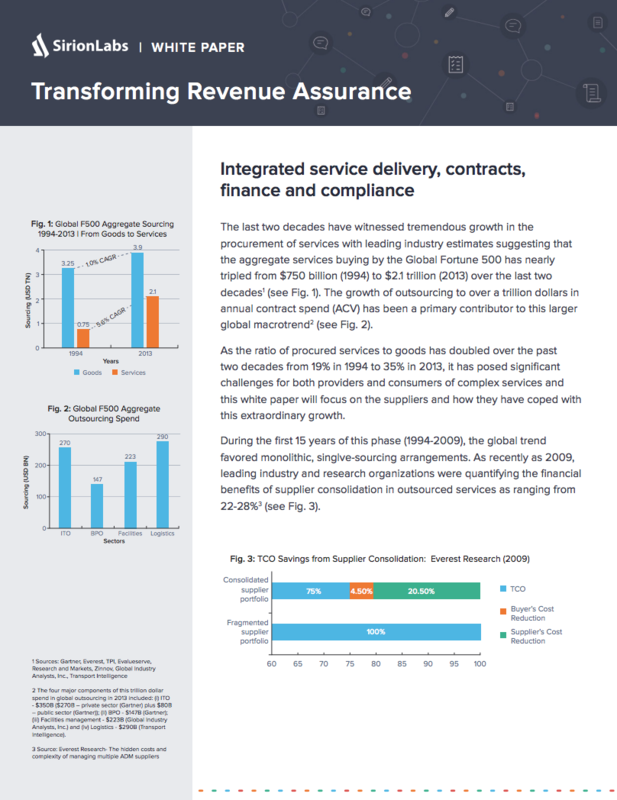 Developments in the procurement landscape over the last 5 years (the emergence of multi-sourcing, shorter deal cycles, and cloud computing) have driven home the need for large suppliers to approach revenue assurance in an integrated manner. Download our whitepaper to understand how you can meet your revenue assurance objectives through a technology-driven, integrated approach.